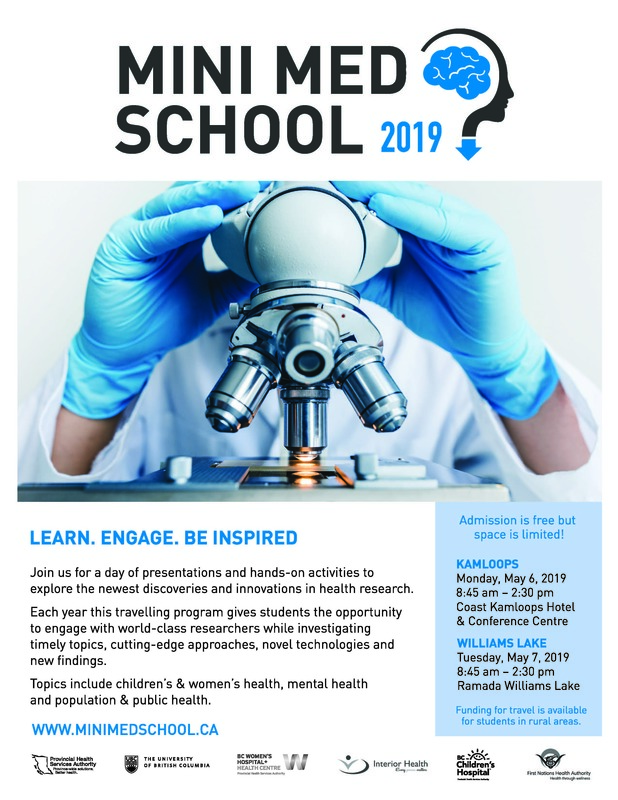 Join us on Tuesday, May 7th at the Ramada Williams Lake for the opportunity to engage with world-class researchers and clinicians. At Mini-Med School Kamloops you will discover a course curriculum that gives a basic understanding of health research while exploring up-to-the-minute research, clinical applications, and social and ethical implications. Attendance is FREE but space is limited. Registration is open to high school students and members of the public.